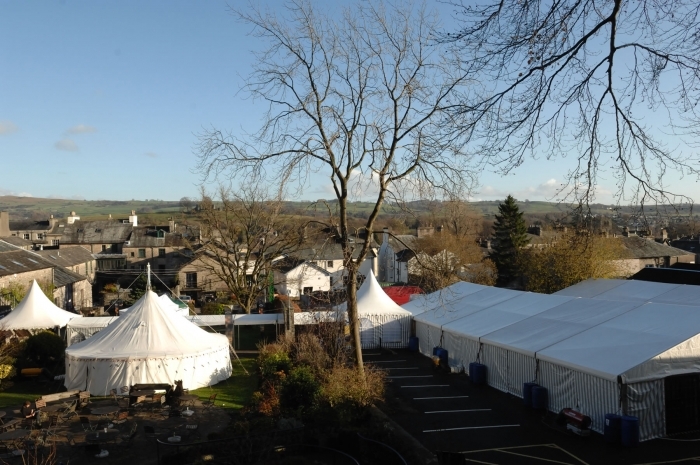 Kendal Mountain Film Festival for Outdoor Enthusiasts is in it’s 15th straight year and is held in the Lakes District in Cumbria County, UK, Thursday- Sunday, November 20-23, 2014. Covering all aspects of mountain and adventure sports culture, the film genres shown at ‘KMF’ include wildlife, outdoor sports, and environmental documentaries. Their vision is to encourage more people to explore the great outdoors. Every single film being shown this weekend looks AMAZING! Cumbria, home to the Lakes District, England’s largest National Park, and perhaps the most idyllic countryside in the UK, is also renown for the illustrations and writings of English author, Beatrix Potter (July 28, 1866- December 22, 1943), and her children’s books about animals and the British landscape (The Tale of Peter Rabbit). 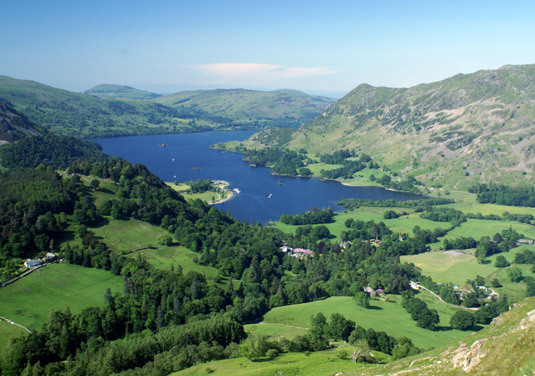 She is credited with preserving much of the land that now comprises the Lake District National Park. ‘Miss Potter,’ starring Renee Zellweger, is a lovely film depicting the life of Beatrix Potter. 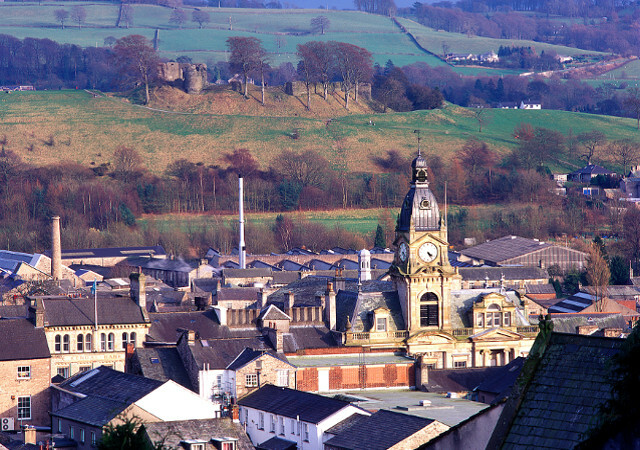 This beautiful area spans over 40 miles and is home to the famous Lake Windermere. “The Hunt for Hipmasama,” directed, produced, and edited by UK surfer, Oli Adams, is just one of the great films being shown this weekend. Professional surfer, Oli Adams, had a photo of a perfect wave. After years of inquiring as to who took the photo and where the location was, he finally figured it out and was invited to his home to surf this remote, isolated island inhabited by only 50 people. His name (last name is not disclosed as to probably protect the anonymity of the unchartered surf spot), is Andy. Andy lives the surfers dream, riding uncrowded, perfectly barrelled, beautiful, naturesque, picturesque waves, all alone. Oli realizes the risk involved, as there is no one really around to help out in the event of a problem. There is no real transportation off the island to the mainland, if need be. Ferries that do arrive, only do so, once a week, if that, as the pier is so small, the weather, unpredictable, and the water, often too choppy to dock, that they may turn around and wait until next week to try again. Cars have to be crane lifted on and off the ferry, as no cars can drive off the boat. The 92nd Street Y’s signature movie series, ‘Reel Pieces’ held a screening of the Oscar Contender, “The Imitation Game’ based on the biography of Alan Turing: The Enigma, written by Andrew Hodges. 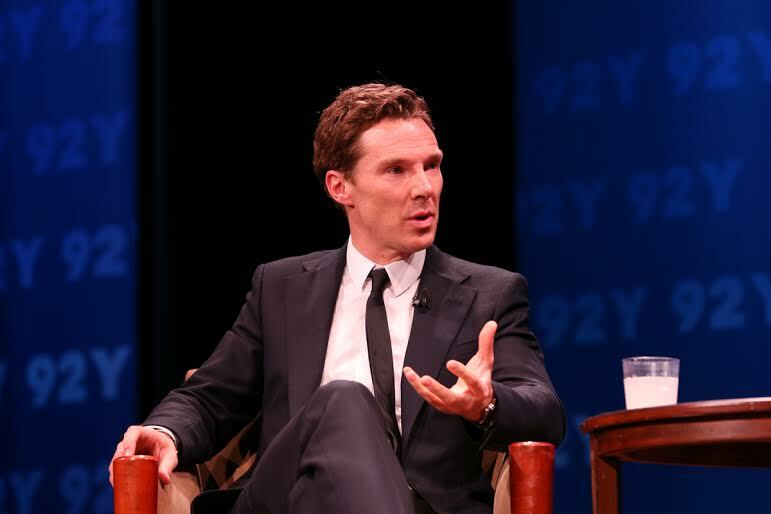 The screening was followed by a Q & A with the ‘Sherlock’ heartthrob, Benedict Cumberbatch. Yes, SHERLOCK was LIVE and IN person this past Sunday evening at the Kaufmann Concert Hall located at 92nd Street and Lexington Avenue! Young and adult women alike, began screaming as if a Beatle was performing live circa 1964, as Benedict Cumberbatch walked on to the stage. WWII era. Cambridge. Troubled genius. Based on the true story of a real man. The entire cast: British. Classic filmmaking. The beginning of the film is the end of the film. 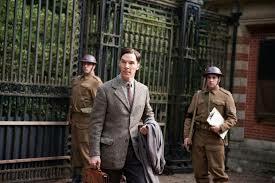 What sets ‘The Imitation Game’ and ‘Theory of Everything’ apart? The film begins in 1951 where Alan is seen cleaning up a broken bottle which had white powder in it. Two detectives are there with him and are suspicious, believing that he is hiding something. Turn back to 1939 where Alan is on a job interview for the position as a cryptographer, when he almost loses the assignment because he doesn’t speak German. Add a female mathematician, Joan Clarke, who takes an interest in Alan. Turn back even further to his youth, and see the pivotal relationship between him and his childhood classmate, Christopher. Christopher is also the name he named the code-breaking machine that deciphered messages encoded by German machines, which was crucial in helping break the code that helped change the course of WWII, saving 14 million lives. 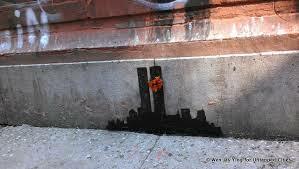 ‘Banksy Does New York’ at DOC NYC! 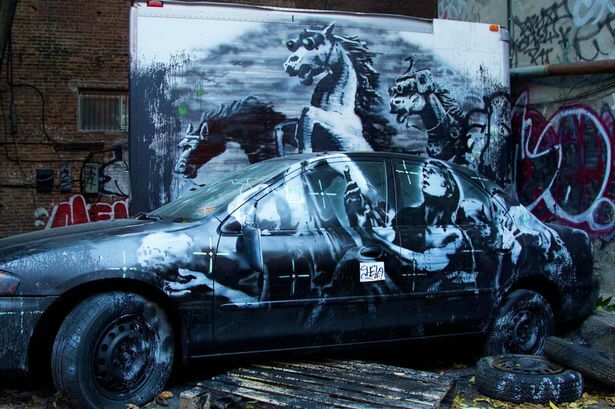 ‘Banksy Does New York’ chronicles the month-long residence that the pseudonymous British street artist, political activist, painter and film director, from Bristol, England, known as ‘Banksy’ (Exit Through the Gift Shop), displayed throughout the city of New York last October, 2013. For those who don’t know Banksy, no one has ever seen him before. His fans want to be the first to find his work, the police want to catch him in the act, and the collectors want to display his work in galleries. 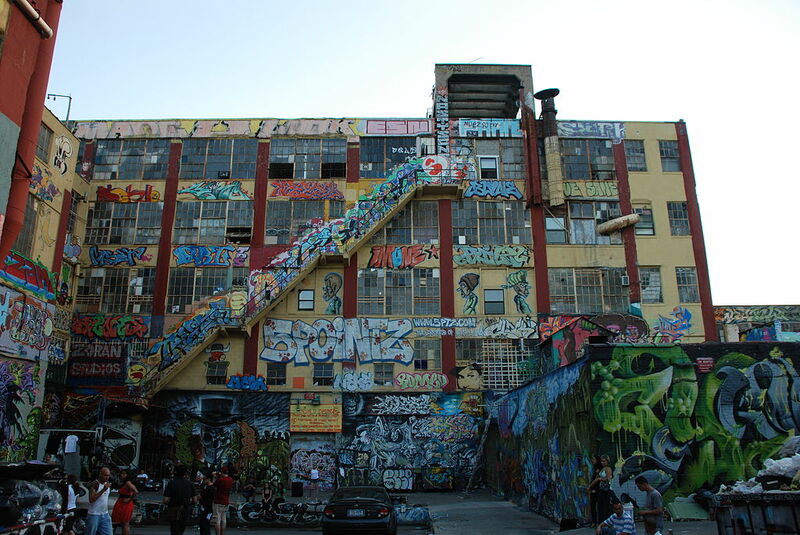 So, last October s/he and his team, Pest Control, and Holly Cushing announced that the graffiti street artist would display one piece of art somewhere within the five boroughs, one a day for the entire month of October, 2013. One piece of art work per day in an undisclosed place around New York, he eluded to where they might be via social media, which sent his followers on a scavenger hunt frenzy, as they hoped to be the first to arrive, meanwhile, filmmakers filmed or requested footage from others, often times, bringing out the best, and sometimes the worst in people. Act fast, catch him if you can, because, many times, the works were painted over a few hours later, since his canvas was private property. 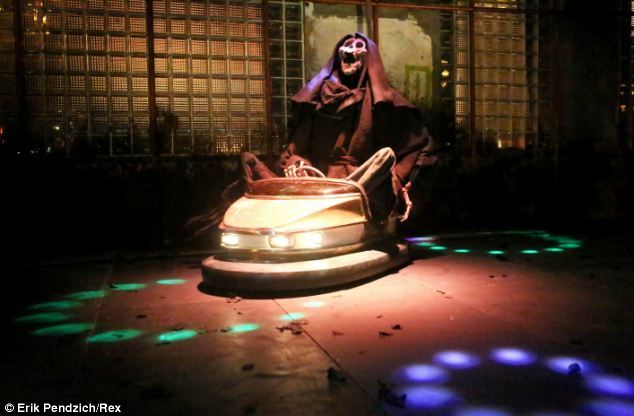 He not only spray painted during the 30 day stint, but also showed video clips, displayed a skeleton sitting in a bumper car, a Sphinx made from rocks, and gimmicks, ie. having a salesman sell his work at a kiosk near the Metropolitan Museum for only $60.00, making only $420.00 for the day, meanwhile unsuspecting customers found out later that the art they purchased was worth $250,000 each. He held auctions with one of his works raising $615,000 for the Housing Works, and, of course, there was the occasional entrepreneur or con artist covering his works with a cardboard box and asking spectators for $5.00 to snap a photo of it. Day 1: LES: Allen Street, 4 hours later, it was painted over. Bushwick, Brooklyn, St. Mark’s Place, Lower East Side, Ludlow, ‘Crazy Horse’ painting depicting the 2 journalists and 4 Iraqi civilians killed in the Iraq War, East NY, Brooklyn, 5 Pointz Queens, 45-46 Davis Street, 69th/38 St in Astoria, Jay and Staple Street in Tribeca, Cook Street near Graham Avenue in Bushwick, 7th and Cooper Square in the East Village, West 51st Street/12th Avenue, Elizabeth and Houston, 24th and 10th Avenue Chelsea, Staten Island, 79th and Broadway in UWS, South Bronx, 456 East 153rd Street, Flushing Queens, Willet’s Point, 127th and 35th Ave, the Sphinx made out of a pile of rocks, 157 East 23rd Street, Sunset Park Brooklyn, Greenpoint Ave and Noble Street, Coney Island 2812 Stillwell Avenue, Gramercy Park, East 162nd and Jerome, and LIC, 35th Street in LIC, Queens near the LI Expressway. Unfortunately, however, it is too late to be saved. Although a science fiction story, it is not too hard to imagine with our advances in technology. The planet Earth is experiencing extreme climate change and is on the brink of extinction, experienced astronauts enter the cosmos searching for a new home for humans to live on at the end of the galaxy, family members left on Earth are at a loss not knowing if the spacecraft will ever return or if they were abandoned, distant planets are explored, and time is not what it seems. You are currently viewing the archives for November, 2014 at One World Cinema.